Easter is such a great time to be a cake maker. After months of heavy holiday treats and fall flavored caramel, pumpkin desserts, it’s a breath of fresh air to dress a cake in pastels and layer it with spring flavors like lemon and coconut. Traditionally, around this time of year, you see lots of basket weave covered Easter cakes and fluffy piped lambs. Well, we’ve been there and done that…and loved it. 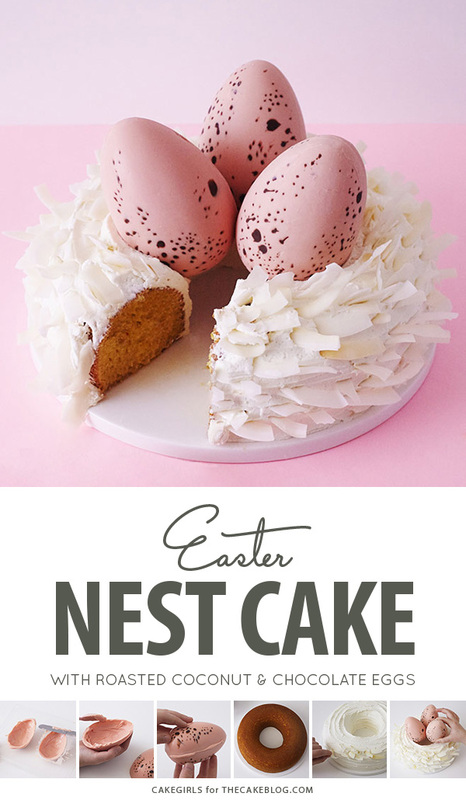 But, this year we were trying to reimagine the Easter table centerpiece dessert a little differently and an oversized spring nest seemed like the perfect solution. 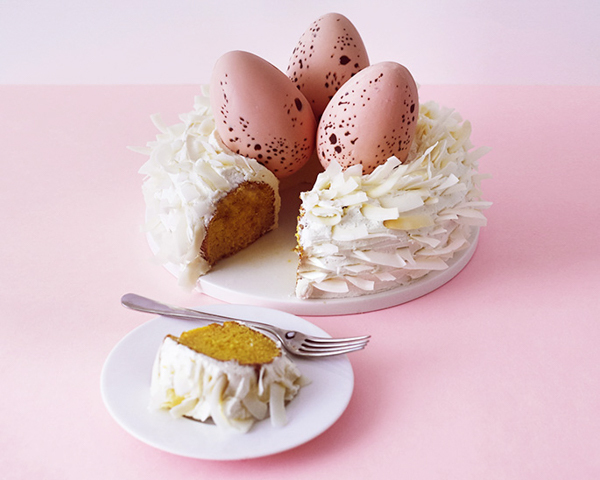 Speckled chocolate eggs keep things elegant and a donut shaped cake finished with fresh coconut keeps things easy. We love having cake pans in our collection that are super versatile. That’s why we always have a donut pan on hand. 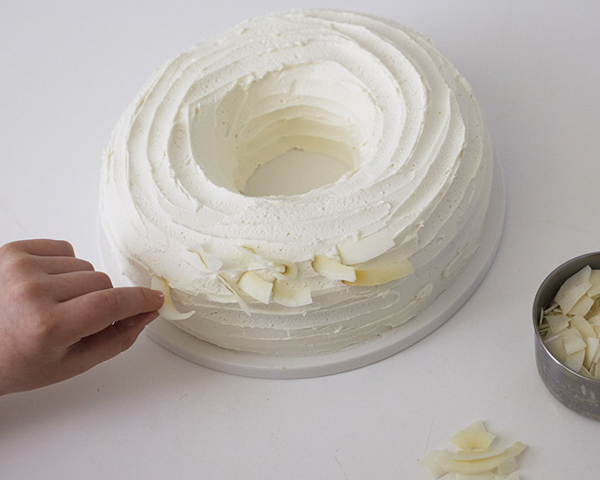 Sometimes it’s perfect for a giant donut or super modern bundt cake, sometimes it comes in handy for a pool party life preserver and this time around it’s a nest cake. Pour in the batter, pop out the cake and you’re already half way there. 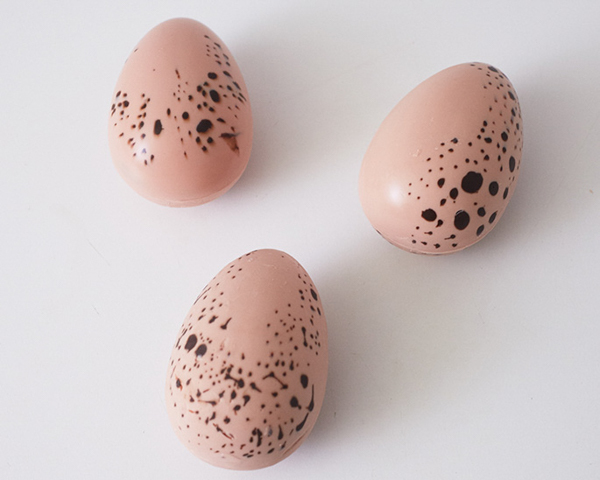 To finish, the decorative speckled chocolate eggs are the wow factor and an egg shaped chocolate is the secret weapon. A from scratch cake recipe is ideal for this cake, but a box mix cake will work just fine in a pinch. However, it’s worth it to make a fluffy, homemade American buttercream recipe so that you have a nice thick layer of icing to hold your coconut. We used fresh roasted coconut we bought at Trader Joe’s, but this style of coconut is readily available at other gourmet grocery stores and online. 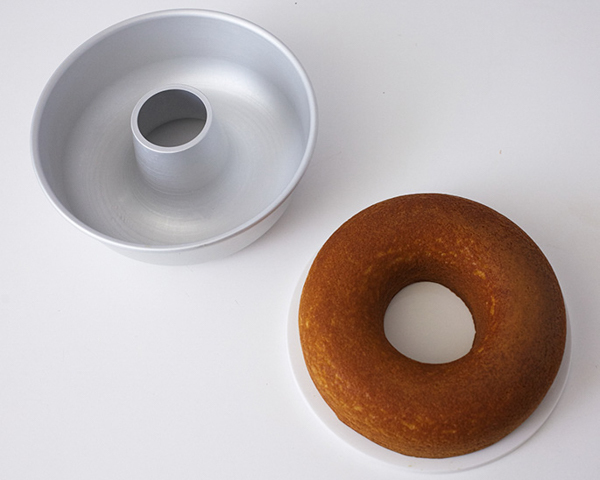 Bake your cake in the donut shaped pan. Cool and wrap in plastic wrap. Place it in the fridge if you’re making the cake in a few hours or place in the freezer for future use. Just be sure to defrost it in the fridge before icing it. 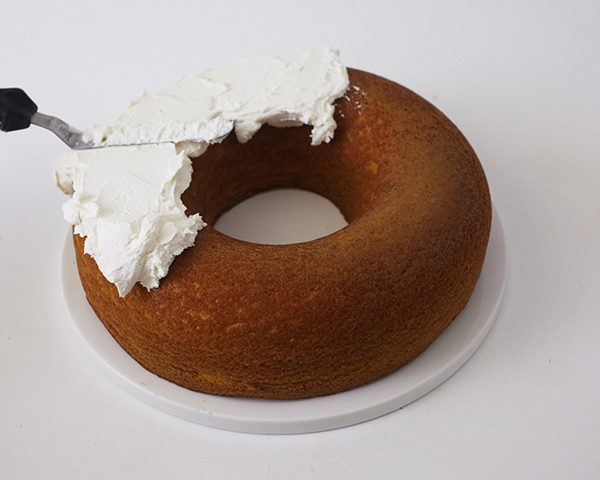 A refrigerated cake is much easier to ice with buttercream than a room temperature cake. You can also make your buttercream ahead too. Place it in the fridge and pull it out an hour or two before you need it. Restir with a spatula or whip with mixer again before using. 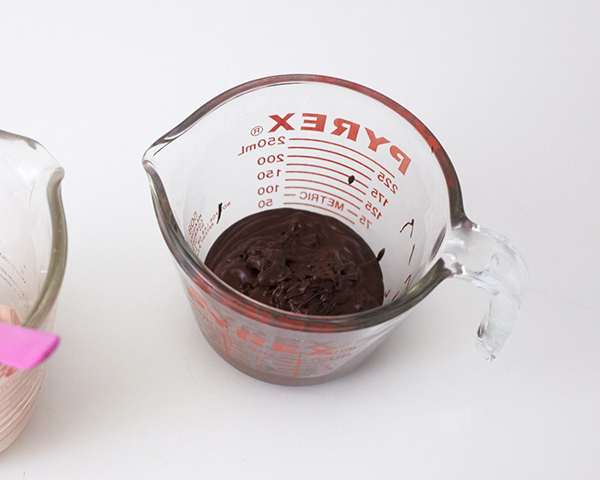 To make the chocolate eggs, place a handful of chocolate candy coating into a microwave safe container. Heat in the microwave for 30 seconds on half power. Remove, stir and heat for another 30 seconds until your candy is melted. Do not overheat it or it may burn. 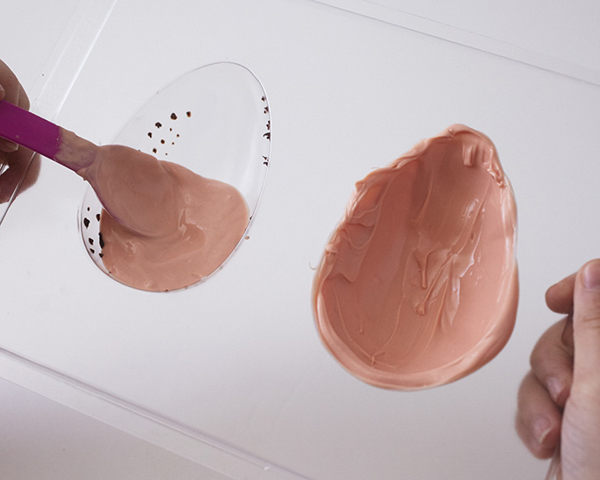 Dip a toothpick in the chocolate candy coating and make little dots inside the mold to create speckles. Place the mold in the fridge for 2-3 minutes to firm up the dots. Melt 1/3 of a bag of pink candy coating the same way that you melted the chocolate. 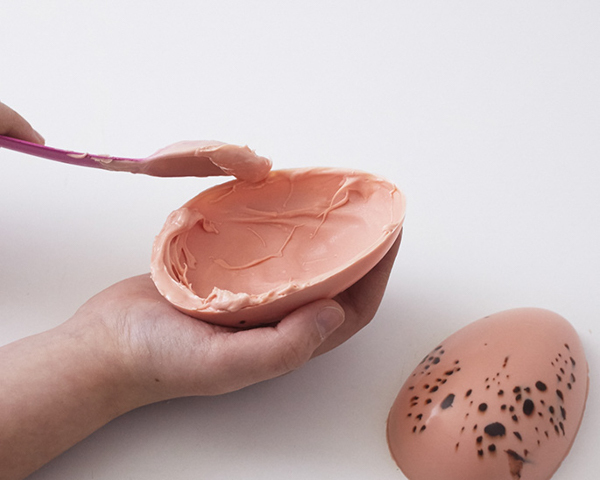 Be sure that the coating is melted but not hot or it could melt the dots in the mold. Dollop a couple of heaping tablespoons of coating into the mold and use the back of a small spoon to spread it into a shell, lining the mold. 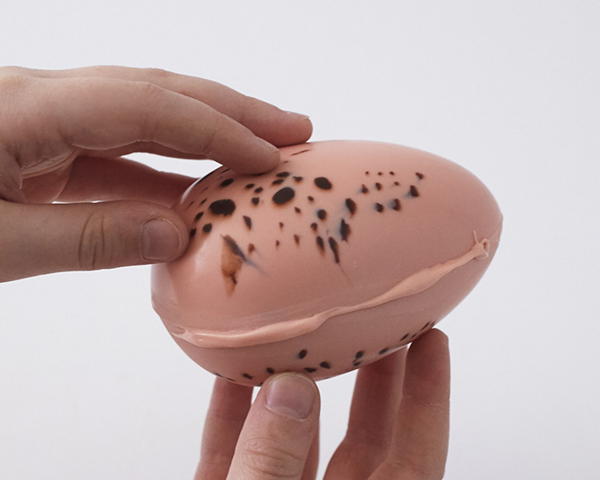 This should be no thinner than 1/4″ thick, so that the egg is sturdy. 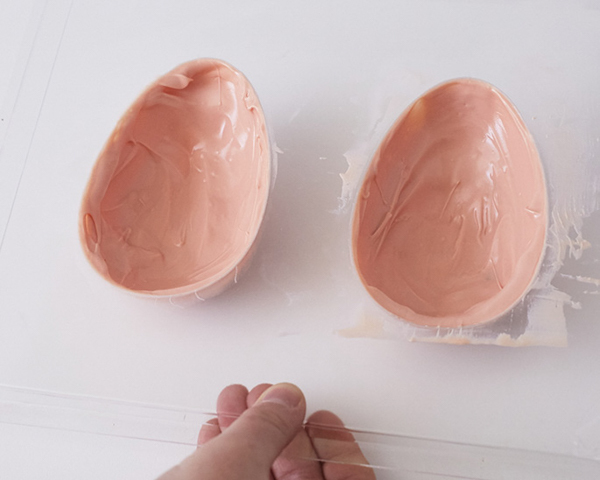 Make sure that the coating bleeds over the edge of the mold. Once you have the two sides coated, use a spatula to scrape across the mold to create a completely flat edge. Place the mold in the fridge for 15 minutes. After 15 minutes in the fridge, remove the mold. 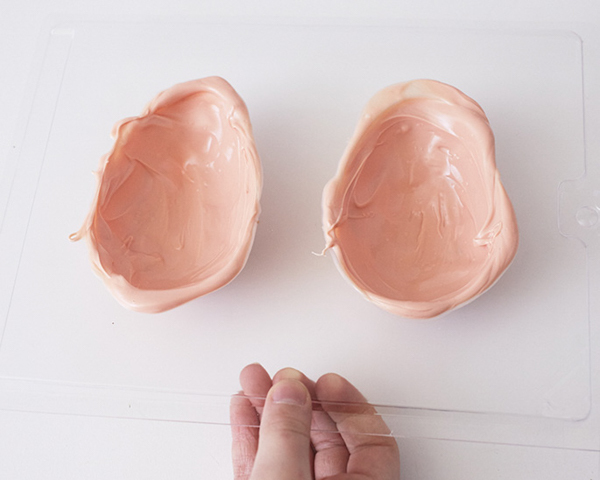 If you feel like there are any obvious thin spots in the shell you can add some additional melted coating to strengthen it before popping it out. Flex the mold and pop out the two sides. Rewarm your coating if necessary, and then spoon some along the edge of one side of the egg. Place the second half on top and use your finger to wipe away any excess coating that’s dripping out. Hold the sides in place until you feel like they’re secure. 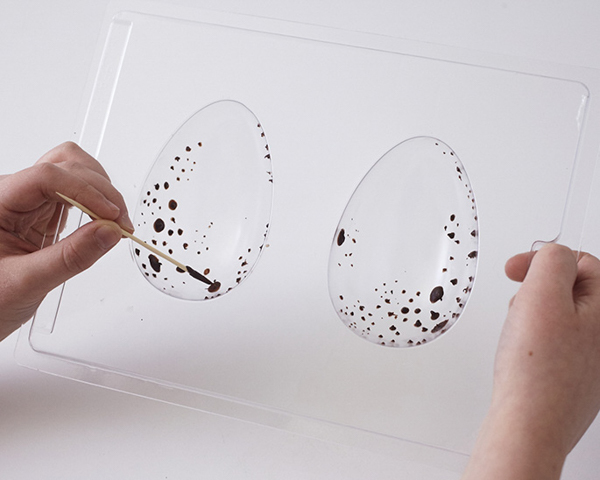 Repeat this process three times to complete three speckled eggs. 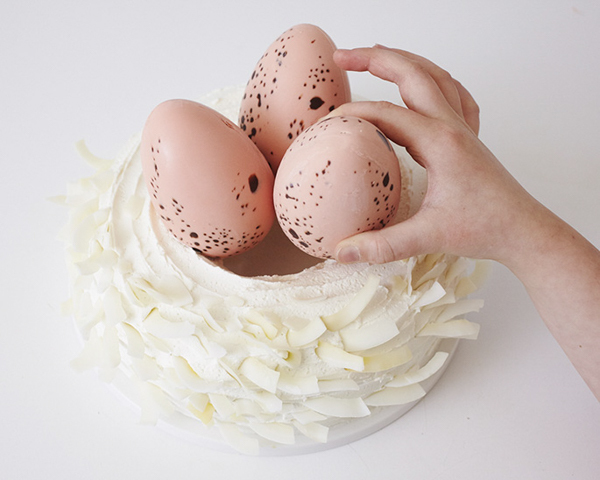 Ice your nest cake with a thick and rough layer of buttercream. 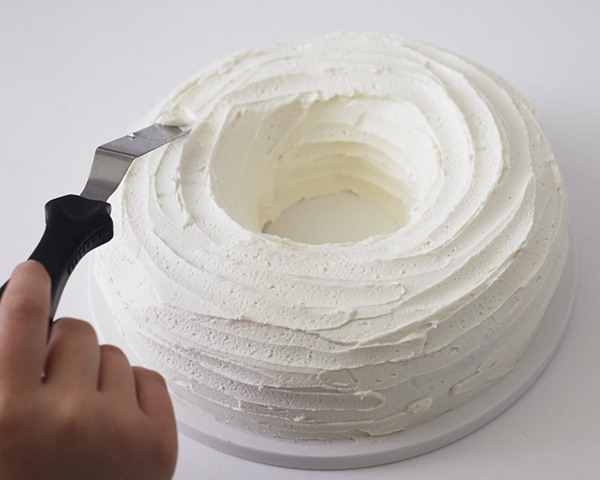 Drag the end of your spatula through the cake, following the circle shape to create a nest like texture. Place individual pieces of coconut in the buttercream. Make sure the pieces are all heading in the same direction so that the texture of the nest doesn’t look haphazard. Add your eggs before finishing the coconut around the top edge. We just placed the eggs in the center of the cake and they fit perfectly in the hole. 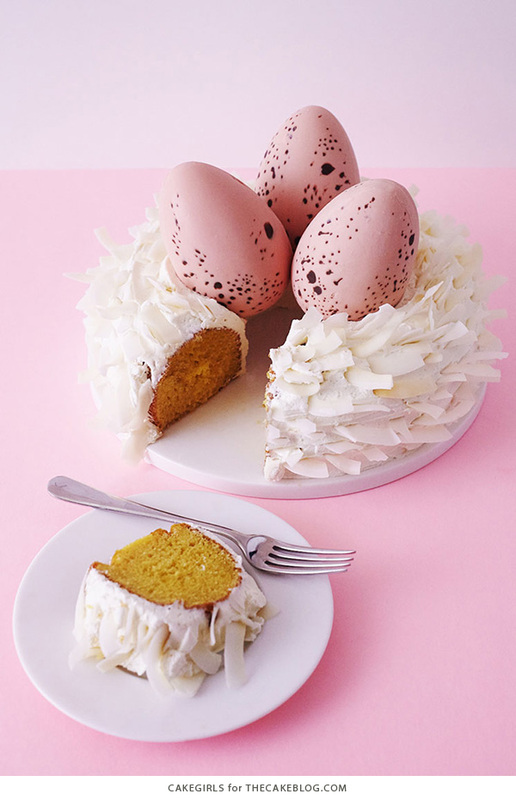 However, you may need to carve out a small section of the cake or apply a little extra buttercream to make sure the eggs are sitting snugly in the middle of the cake. Now finish the top edge with some coconut and voila, you’re done…now let’s eat this baby! Hi. 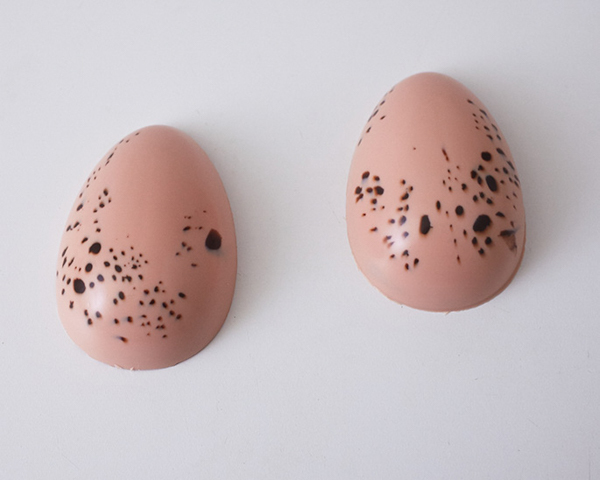 Where can I find the egg mold? 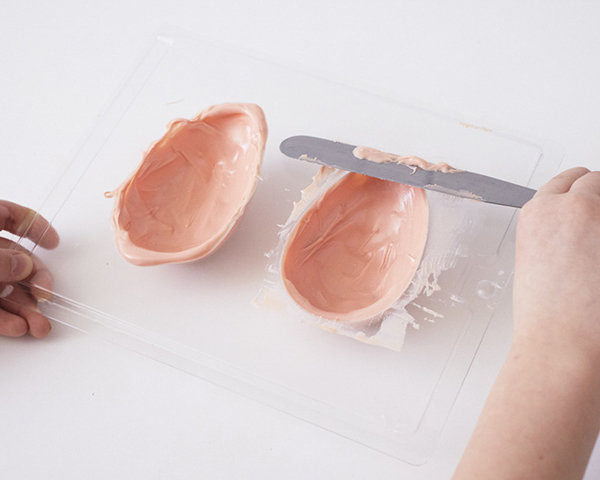 Cakegirls sells the egg mold in their online shop. There’s a link in the supply list above to make it easy for you. Enjoy! What a gorgeous cake! The eggs are so beautiful!